Identifying polygons that intersect with another layer using QGIS? Using QGIS, I have two polygon layers, a vegetation layer and a treatment layer. I want to add a field to the attribute layer of the vegetation layer to indicate if any part of the polygon has been treated (overlaps with a treatment layer). I do not want to intersect the two layers - I need to keep the full polygons in the vegetation layer, I just want to know if they've been treated. There are too many polygons to do this manually. I have looked through the vector tools to try identify one that does this, this was not successful. I've tried to find a workflow via rasters instead of polygons, but cannot figure out what would be needed for this to work. I have searched online but not been able to find anything that answers this question, likely because I do not know what this is called so do not know what terms to search for. 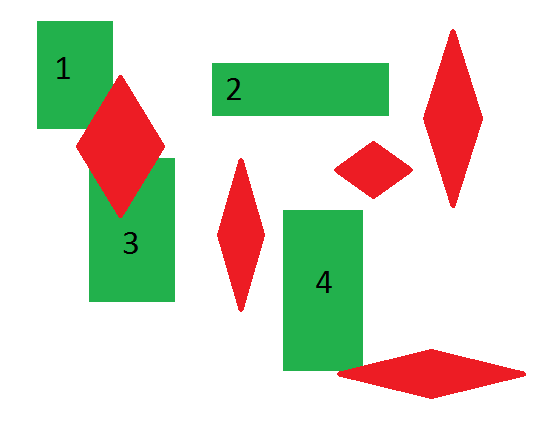 The only solutions I have found are manual, but there are several hundred polygons so I would like to avoid that approach unless there is no other option.